BREAKING NEWS! FIRST IMAGES AND NEWS OF REUNION! Hi guys! Busy morning ahead of me so there will be a full post later (and hopefully over the next few days when more news outlets pick this up). Animeanime.jp has posted a press release covering the reunion! And, the 5 actresses and HIMEKA were not the only guests there – the master of ceremonies was gravure idol Chiaki Kyan who cosplayed as Sailor Moon for the event (really? Shoko Nakagawa wasn’t available?). HIMEKA sang the theme song, Moonlight Densetsu (Moonlight Legend) and opened the show. Then the 5 actresses appeared! HIMEKA was the only person not dressed in colors that were matched to the characters! Kotono looked at the other actresses as her classmates from that time so long ago, and when they got together, it was like nothing had changed. You could not even tell that they were once some of the world’s most beloved superheroes! HIMEKA was in awe of their presence and admired them. 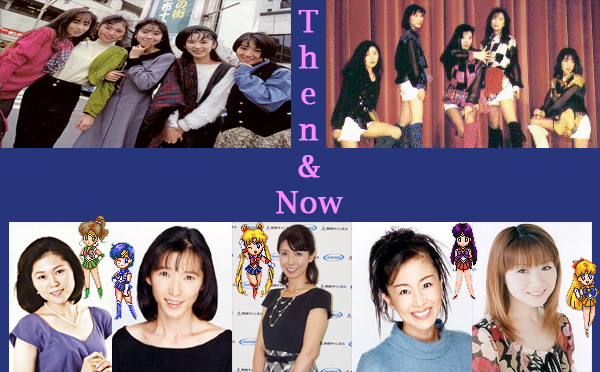 Fans may recall that she first fell in love with Sailor Moon at the age of 15, growing up in Canada! 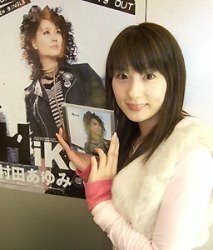 Kotono said that she was happy to be Sailor Moon again after a long time, and Emi and Rika both felt they had gone back in time for a moment. 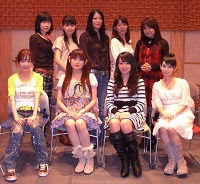 Aya couldn’t believe that they were all on the stage together after more than 10 years! The actresses spoke about how this reunion was a complete surprise to them, that they didn’t know anything about it until very close to this event. Michie Tomizawa had nothing booked, and she suddenly had a “Christmas Party” to go to and she didn’t know what to expect months ago! They each introduced favorite and memorable episodes, and spoke about their roles. At the end, Kotono finished with a beautiful quote that I really hope someone uploads some video of soon – “Usagi-chan is a girl who wants to run away from everything even if she is a klutz and becomes a crybaby during her fights. However, she fights for the people she loves and for the friend until the very end.” Well said, Kotono. There’s a whole other blog entry I have to translate, but I will hit that later today! For now though, here are your much awaited pictures, courtesy of AnimeAnime.jp! EDIT: This release was first posted at ANIMAX! Inners, Cats, and Tuxedo Mask Update! Kotono Mitsuishi (Sailor Moon) has been getting a lot of press lately with the recent resurgence of Sailor Moon in Japan. Her latest movie Rebirth of Buddha, is proving to be a huge hit as it debuted at the #2 spot! But this begs the question: What are the others up to now? We’re going to briefly answer that question! 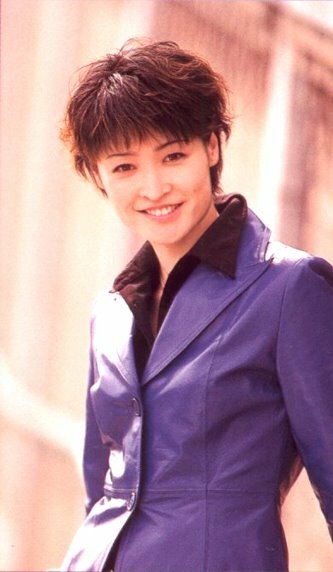 ☽ Aya Hisakawa (Sailor Mercury) played the character of Shizuku in the first four episodes of Aoi Bungaku. This horror series retells 6 famous stories of Japanese literature, and the story that she played this character was based on Osamu Dazai’s No Longer Human. These four episodes were just released on DVD, and are also going to be reworked into a longer movie set to open in Japanese theaters on December 12th! Set to open in Japanese theaters on January 23rd, is Magical Girl Lyrical Nanoha The MOVIE 1st, the first movie based on the hugely popular Magical Girl Lyrical Nanoha franchise. 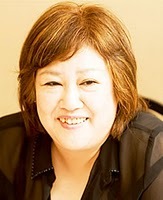 Aya will reprise her role as Lindy Harlaown, the commander and motherly figure, in the movie. She is pictured here at a recent promotional event second from the right in the back row! Upon learning of rumors that the series might be made into a movie, she said “When I heard a rumor that it was going to be made into a film, I did not know if I was going to be chosen! When I got the script I was surprised to read it!” Aya also felt that she has to play many kinds of women all rolled into one with her character. 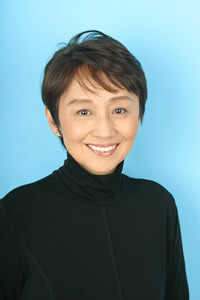 ☽ Michie Tomizawa (Sailor Mars) is still in retirement but occasionally comes to speak at events and perform one-off roles in anime. ☽ Emi Shinohara (Sailor Jupiter) has not been in too much recently, but continues to play the role of Katsura and Yukiji Hinagiku’s stepmother in Hayate the Combat Butler (one of our staff favourites). ☽ Rika Fukami (Sailor Venus) has been involved in voiceovers for many variety shows and TV networks, and most recently dubbed the voice of Jennifer Aniston in Japanese in the movie Marley and Me. She has also reprised her role as Myung Fang Lone in the new Macross Plus Ultimate Frontier video game for the PSP. 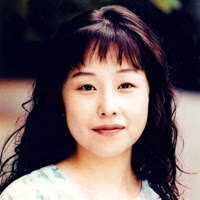 ☽ Keiko Han (Luna) was deeply missed by fans during this year’s Animazement! It is unfortunate that Swine Flu continues to affect us months later, but hopefully she will return next year (and we will get the chance to interview her). She has a voice role as a narrator on the space opera anime Tytania which began late last year and finished at the end of March. The show has been released on DVD and Blu-Ray in Japan. 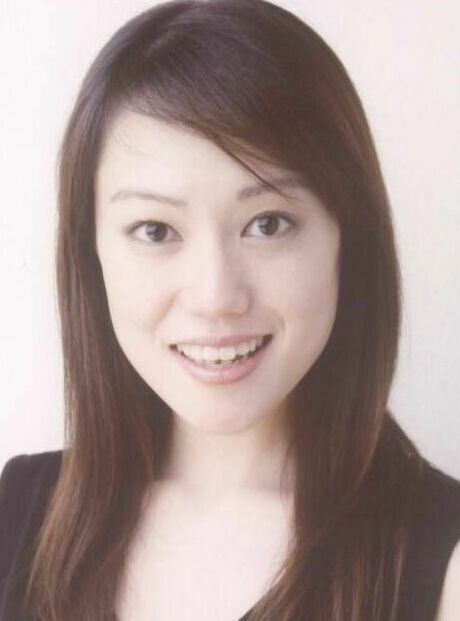 She continues to be a special guest instructor of drama at Tokyo Media Academy, as well as keeping up with her astrology hobbies! 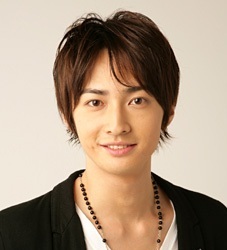 ☽ Yasuhiro Takato (Artemis) has had a variety of roles in the last few years playing Gluttony in Full Metal Alchemist, Bamboo in NANA, and is now playing Geld in Dragon Ball Kai and numerous characters in One Piece. ☽ Toru Furuya (Tuxedo Mask) is still our beloved ToFu-san and is just as active as ever! He just appeared at one of the last celebrations for Gundam’s 30th anniversary! “Soul-G”, or otherwise known as “Gundam 30th Anniversary Commemoration Music Live”, was a music festival dedicated to the warriors from the anime. He read some excerpts from Gundam light novels. 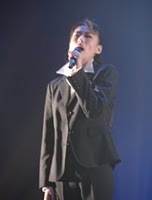 The event also featured readings from other stars, and performances of many of the Gundam theme songs. However, it doesn’t look like Two-Mix was there to sing Just Communication. There was a special “unit” there to sing the song: singers Akira Asakura, Kawazoe Tomohisa, and Hitoshi Aya Ushima. 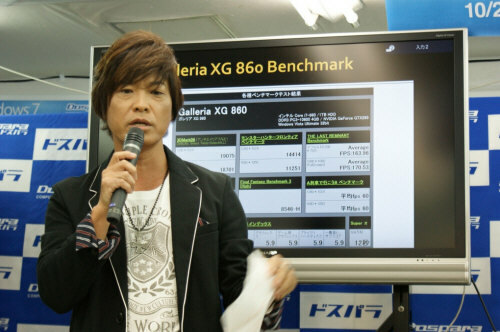 He also continues to show his geek side, and appeared at an event launching Windows 7. He is still maintaining his own homepage – but we think he needs to get with the times and make use of some new web technologies. His page looks like it’s from the nineties! ☽ Kae Araki (Chibi-Usa) hasn’t been up to anything this year, unfortunately. Even her fans are wondering where she is – and her birthday is coming up pretty quick! We have to wonder why Keiko, Yasuhiro, Toru, and Kae are not being included in the 20th anniversary celebrations. Sailor Moon is not Sailor Moon without the cats, Chibi-Usa or Tuxedo Mask! 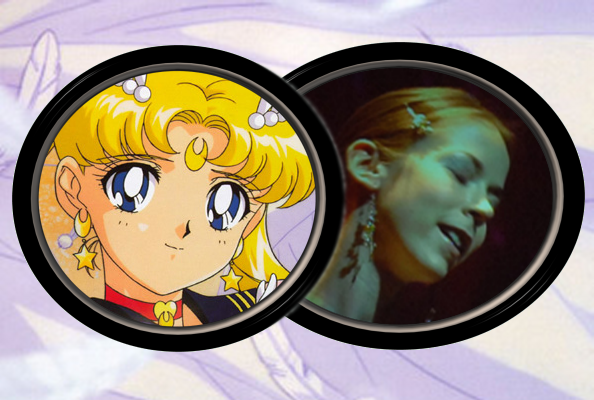 Next Week, we will take a quick look at the Outer Senshi and Starlights! BREAKING NEWS: 5 Senshi to Unite and Himeka to Perform for 20th Anniversary Event! This broke about 6 hours ago in Japan! (Will add a picture later). After 12 years, Kotono Mitsuishi (Sailor Moon), Aya Hisakawa (Sailor Mercury), Michie Tomizawa (Sailor Mars), Emi Shinohara (Sailor Jupiter) and Rika Fukami (Sailor Venus) will be appearing at a special event on December 6, 5 days ahead of the release and ahead of the 20th anniversary of the manga in 2011. The doors will open at 4:30PM, and the event will start from 5 and run until 9! 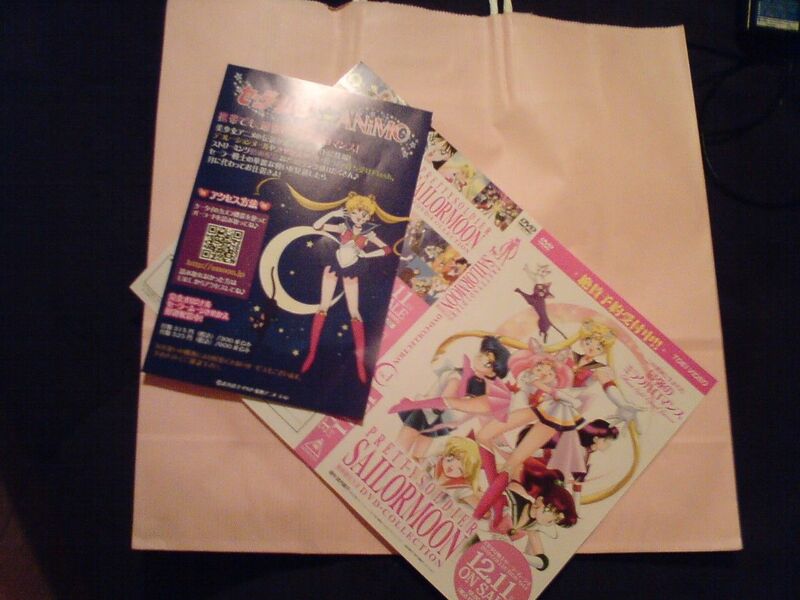 They will be sharing their memories of working on Sailor Moon at the event with fans, and there will also be an episode screening. Admission is free but tickets will be limited! For those of you who want to try to get tickets, they will be available via a lottery at Toei’s DVD shop. 20 people will be chosen from those who have pre-ordered the collection by then. ANIMAX will also have a contest. Rising star Himeka, who was partly inspired by Sailor Moon to pursue her anime singing career, will also be singing at this event! We have covered her in the past on Moon Chase. In the press release on animeanime.jp, she says that Sailor Moon is what “jump started” her on anime! This will be taking place at UDX in Akihabara, at the same place Kazuko Tadano recently appeared at a session for JAM 2009. As of this writing, it is unknown if Naoko Takeuchi herself will be attending this event. She is not listed to attend at all in the press release, and we really hope she does. The other strange thing is that the press release makes note that it is the 20th Anniversary of the manga in 2011, and that this is an early celebration. We think this might be happening now because the boxsets are set to go out of print at the end of 2011. She posted about the show re-airing on Sailor Moon Channel a month after it came back on the air, but has yet to mention the new boxsets. Kotono has also been doing much of the publicity for the show. This is great news Moonies! We are sure there are more details to come! Toei has even put up a new banner announcing the event at their official 20th Anniversary page! Special Thanks to Toy Soldier for pointing that out to us this morning! For Japanese fans who want to get in on the lottery to attend this event, pre-order your DVDs from here, or here. They are a little more pricey than other places, but if we were in Japan, we’d pre-order from Toei just to get in on this draw! EDIT: ANIMAX now has a page up, along with another with the rules and regulations of the lottery. They are dubbing the event “Sailor Moon Event Sailor Talk”. We love the banner and the graphics on their site. ANIMAX has 50 tickets to the event that fans can win, and from what the site says there can only be 100 guests. 100 seems a little low for something like this, why not up it to 500? Those of you who are in Japan and want to read the regulations, click here!